Minister Ze’ev Elkin says Israel will have to apply sovereignty in Judea and Samaria after PA collapses. Environmental Protection Minister Ze’ev Elkin (Likud) said Thursday that Israel would have to apply sovereignty in Judea and Samaria after the collapse of the Palestinian Authority which would happen at the conclusion of the era of Mahmoud Abbas’ leadership. 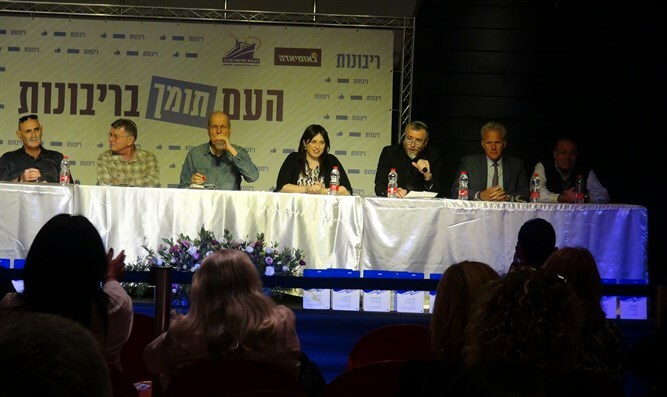 Elkin made the comments as he participated in a conference on sovereignty as part the Likudiada in Eilat. "The one who will eventually bring about an Israeli sovereignty decision in Judea and Samaria is Abu Mazen,” he said. "Once he leaves, Abu Mazen will bring about the dismantling of the Palestinian Authority and then we will have no choice but to apply sovereignty. When we could not decide for ourselves, the Arabs decided for us. This is going to happen soon, and the State of Israel must prepare for that," added Elkin.